Now, personally, I can’t cook without a recipe, so this show is definitely not for me – but it seems like a great opportunity for any of my creative readers. 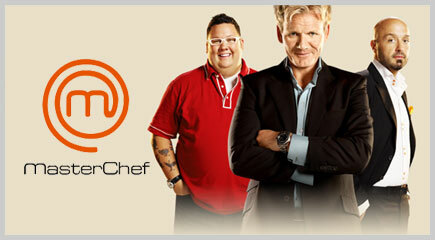 Visit http://www.masterchefcasting.com/MasterChef-Season-3-Open-Calls for info on what to bring with you. The laides of the Alta Mira Club in San Leandro are hosting a “Vintage Fashion Show & Tea” on Saturday, April 24th (2010) from 12:30 PM on. Tickets cost $25 and include coffee or tee with tea sandwiches and desserts. There will also be a fashion show of old gowns. The Alta Mira Club house is a gorgeous, gorgeous 1860 mansion – kept as much as possible in its original condition and beautifully furnished with antiques. My 8-year-old couldn’t wait to show me the front rooms. Alas, the event room they have in the back is quite plain and does not have the charm of the rest of the house – and I fear that’s where the tea will be. But still, just being able to tour the house is fun. I’m planning on going to this event – hopefully with some friends. It’s once again time to < href="https://www.brownpapertickets.com/event/61507">order your tickets for the 2009 Women of Taste event. Women of Taste is a fundraiser thrown by Alameda County’s Girls Inc., an organization that helps empower girls. It’s quite cool, you get a tray and a wine glass (yours to keep) and you wander from booth to booth picking up a bite-size appetizer, dessert or taste of wine. I’ve enjoyed it tremendously the two times I’ve gone. You can read my notes from last year’s event. I’m not sure if we’ll go this year, I don’t think we can afford it, but I encourage everyone else (who can) to do so. Saturday night we went to Women of Taste, a benefit for Girls Inc., a San Leandro based charity that works to strengthen girls’ abilities and confidence. We went for the first time last year, and had a fabulous time. We were both eager to go again. Just like last year, the way it works is that there are dozens of food and drink stations – you go from one to one picking up a bite of food or dessert, or a tasting of wine. Food is offered by caterers and restaurants (originally it was supposed to be women owned, but I guess that didn’t go too far) and wine is offered by wineries – there is a couple of places giving out heaver things as well. There are dozens of things to taste, and I only made brief notes of the ones we hit first, most of which were very good. The food was particularly good this year, though there were too few places serving actual food vis a vis desserts. We all enjoyed a BBQ pork mini sandwich from Brown Sugar Kitchen, a new “down home” restaurant in West Oakland. It’s a lunch spot, and I’d love to go and try their ribs. Zza, a restaurant which I have reviewed before, had a very nice flat bread with mushrooms. Our local Paradiso, which I also have reviewed before, served the most substantial meal of the evening, a piece of chicken in some type of wine sauce with a side of pasta. I didn’t think the two of them went that well together – but the sauce was very good. In any event, I was very happy to see them there. Some of the best food was provided by caterers. Pacific Fine and Food Catering, based in Alameda Point, had a great flat bread covered with yummy things, the only one I can remember is pear, but there was probably some prosciutto there as well. In any case yummy, I’d use them if I ever had a need to use a caterer. Stella Nonna offers box and buffet lunches throughout the Bay Area. They were serving the most delicious little sandwiches. Sooo yummy. They are in Berkeley, but lord I’d use them in a second if I could. Miraglia Catering caters everything from weddings to business events and is based in San Leandro, which gives it points in my book. They served cheese tortellini in a porcini sauce which was very good, but nothing particularly outstanding. Safe food that everyone would like. I wasn’t as thrilled by the chicken mole presented by Picante Catering. I thought the flavor was too mild and lack complexity. Other people around us named it the best mole they’d ever had – and I will admit that my mole experience is limited. Probably the real winner of the evening for me, however, was the corn soup served by Oakland’s Savoy Events. It was refreshing but full of flavor, featuring corn, coconut milk, lemongrass and cilantro. I’m not a soup person, but this was yummy. Desserts were generally good. My favorite was an olive oil cake with a lemon frosting provided by Fifth Floor, it melted in your mouth and had an intense flavor. I’m now determined to make an olive oil cake 🙂 The little cake bites from Eat My Love For You were pretty good as well, specially if they indeed were vegan. They tasted very fresh – the mocha one was particularly flavorful. Bridges, a restaurant in Danville, had a wonderful vanilla/white cake that also melted in your mouth. I can’t see going to Danville for dinner myself, but if you are in the area you may want to give them a try – their pastry chef must be great. The chocolate frosted bite from Indie Cakes was more prosaic, but the cakes they make look beautiful in their website. I was particularly disappointed, however, by a very blah chocolate cookie from Cafe Clem. They also had a frosted cupcake which I managed to drop before I could eat it, however. Three places were serving ice cream. Fenton’s, of course, was great. We usually have its ice cream at the Ice Creamery in Castro Valley, as Fenton’s is so busy, but I think it’s time we pay it another visit. The berry covered vanilla ice cream from Digs Bistro in Berkeley was also pretty nice, though I was upset that their card is black so I couldn’t write any notes 🙂 It was a very generous portion and I enjoyed it. It’s too bad that Digs Bistro didn’t provide a bit of actual food, however, as I hadn’t heard of the place before. Looking at their website, I see that they offer a Parents Night Out on the first Monday of the Month, which includes supervised activities for children in a separate dining room, so I do think I will give it a try! Finally we had some Ciao Bella gelato, available at Whole Foodish sort of places. I had the maple gingerbread snaps and it was very refreshing. Mike had something with a milder flavor. There was a lot of wine to drink that evening, and it’s surprising I didn’t get more drunk. I was first sold by a cabernet from J. Lohr, alas, I don’t know which one it was. Soujourn Cellars had a very cabby cab, with a medium body and nice tannins. I enjoyed it. Mike also liked their pinot noir. I also liked the cabernet sauvignon from Retzlaff, it also had a medium body and light tannins, was nice and easy to drink. I was less impressed by a Pinot Noir from Bink, which tasted empty but had a nice finish. The cabernet franc from Cinnabar in Saratoga was just like other cab francs, light in body. The real winner of the evening, however, was the Orange Muscat from Quady Winery. It had the right amount of sugars, it was almost bubbly and just delicious. And you can get it for just $10 at BevMo! Time to get a bottle. There was more to eat and drink that evening. I remember a nice goat cheese & fig appetizer, something with salmon and something with shrimp, and several other sweet bites. Mike had some excellent Absinthe from some Vodka company in Sonoma and I liked their pear liqueur. Someone was serving some “grown up” sodas, also available at Whole Foods and the like, which were refreshing and less sweet than the usual stuff. There was some rum, oyster shooters from Fifth Floor and some artichoke thing from another restaurant which we didn’t try (we don’t like either). In all, quite a lot of stuff. We had a marvelous time, of course, and I look forward to next year’s. Today was Memorial Day and I had a BBQ. I figured it’d be a good reason to clean the backyard – and indeed, we did, which makes me very happy. We even put up the new hammock I bought last year. Our friends Desiree and her kids were over, as well as Parker, Donovan and their kids. A good group. Desiree brought a salad and brownies for dessert. I made a potato salad, which everyone liked. I also barbecued some chicken thighs using the method outlined here. I didn’t make the BBQ sauce but used E&J barbecue sauce instead. I managed not to burn the chicken this time (OK, I only burnt it a little), and it tasted pretty good. I did have to adjust the time, as thighs cook quicker than a whole chicken. The main dish, however, were blue cheese burgers. This time I used ground beef and also added bacon bits (fried bacon that had been crumbled) to the blue cheese and made the burgers with 1/2 lb of meat each. They were huge, but people did eat them. Mike thought they were “awesome”. I had some corn to grill, but I completely forgot about it. Oh well. On Saturday May 3rd, my birthday, I took a Southeast Asian cooking class at the San Leandro Adult School, taught by the same instructor (Jenny Sin), that had taught the Malaysian cooking class I took last month. It was quite good, though I didn’t enjoy it as much as the last class. Part of it was that in the middle of the class we had the fire alarm go off. It was probably the strong smell of the frying sardines. We had to leave the building and wait in the parking lot for quite a bit until we were given the clear to return to class. We couldn’t continue inside, however, so we moved the whole class outside. It was a nice day, so I think that turned out quite well. I’d like to be able to take more classes like this – they are a lot of fun. Alas, the principal of the adult school is considering not holding any more due to poor attendance. If you like/want to take this type of *very affordable* classes, please e-mail her at swong@sanleandro.k12.ca.us (her name is Suzanne Wong). Yesterday, I took my first cooking class. IT was given by the San Leandro Adult School on Malaysian and Thai cooking. The class was four hours and consisted in learning to cook 3 dishes – two Malaysian and one Thai. The instructor, Jenny Sim, is a Chinese Malaysian who lived in Thailand for 20 years. She knows a lot about the cooking of all Southeast Asia (and India), and was able to answer questions and give us an overview of the foods of the area. The first dish we made was Chicken Rendang. I’ve had beef rendang a bunch of time at different Indonesian restaurants, so I was happy to learn how to make it. It was more complicated than I thought, it involves making a paste with shallots, ginger, chillies and garlic, which is then fried before other ingredients are added. It also requires you to have galangal and tamarind paste (to make tamarind juice). It’s not a simple dish, but the results were amazing. The recipe works with meat as well, and I’m planning to make it soon. When I do, I’ll post it here. The second dish was Gulai Lemak Nenas, a Malaysian pineapple shrimp dish with a soupy curry. This one also required some exotic ingredients, including fresh turmeric and shrimp paste, but also was delicious. Of course, I didn’t eat the shrimp, but the pineapple curry part was great with rice. I don’t think I’ll make it, as I’m not a shrimp eater, but was very happy to try it. If someone e-mails me asking for the recipe I’ll post it. Finally, we made Larb, Spicy Beef with Mint Leaves. This is a northern Thai dish, often found in Thai restaurants, and I was surprised at how simple it was to make. It didn’t require any exotic ingredients, save for Thai chili powder, and it was very quick. Basically you fry the ground meat by itself and mix it with the other ingredients once cooked. You serve it with cabbage leaves and other raw or blanched veggies. I’m definitely planning to make this sometime. All the dishes can be made at a variety of spiciness. A couple of us are not particularly fans of fiery foods, so Jenny reduced the amount of chili in her recipes – the results were perfect. -You can peel a shallot more easily by first banging it with the side of a knife. -It’s better to snap the end of green beans than cut them. Anyway, I’m taking the Southeast Asian cooking class next month (for my birthday) which will have an emphasis on noodles. The classes are only $30 (really) and include all the food – which you get to eat at the end of the class (there are vending machines for drinks just outside the classroom). The SEA class will take place on May 3rd from 9am – 1pm. You can register online but it’s a pain. The only negative thing about the class is that it doesn’t take place in a kitchen. They just don’t seem to have kitchens at the cooking school, so it takes place at a regular classroom and the teacher has to bring all the equipment (including gas burners, an electric wok and an electric rice maker). Anyway, I’m hoping they’ll have more of these classes during the summer and fall. Saturday night, Mike and I went to Women of Taste, a benefit for Girls Inc. – a local charity that works to empower girls. The event features women chef presenting some of their food. There are a couple dozen (or more) tables, each one manned by a retaurant, cattering company or winery – and you go from table to table picking up small bites of what they have to offer. It’s a great idea and we had a lot of fun doing it. Some of the food was really good (a goat cheese on endive bite from a catering company, a caviar appetizer from a restaurant I can’t remember and a BBQ pork sandwich from T-Rex in Berkeley), but a lot of it was merely pedestrian. There were a lot of brochetta or brochetta like things – understandable, given that the restaurants must provide 1,200 pieces of food for free. Other than the BBQ sandwich, and a couple of tiny fish bites, there was no protein at all. The wines were much better. I liked the syrah from Concannon winery in Livermore and whatever red wine I had from Handley Cellars. The Barefoot Cab, however, was pretty much undrinkable. There were a lot of sweets – including a pretty good cheesecake from Trader Joe’s, ice cream from Fenton’s and an amazing chocolate Truffle from Boulevard. There was also a silent auction (we didn’t win anything), and live music. As I said we had a great time, run into some political acquaintances, and we’ll probably go back next year. Tickets are expensive, $125 each ($100 if you buy them well in advance, which we didn’t), but they benefit a good cause. About 1,200 people attended, but in general the lines weren’t too long.